Why Does Upwork Allow Clients to be Spammed? I posted a job with specific criteria and skills needed. I was flooded with applications from people who did not have the necessary skills I chose and requested. I take the time to craft a proper job and lay out all my expectations and this happens. Why are these people allowed to spam me? Jean, someone somewhere requested a feature that would allow clients to flag an application as spam, and the freelancer gets penalized eventually if they get flagged repeatedly. While I like the idea, I worry about nasty clients doing this maliciously. 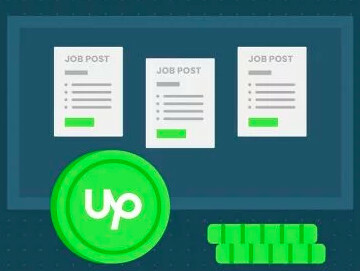 Also, bear in mind Upwork has an auto hide algorithm that's supposed to detect copy & paste applications, in which case you're seeing false negatives, but as a freelancer I have to say I prefer that to false positives, meaning an application that's mistakenly categorized as spam. Clients can mark applications as spam. I have to wonder if that actually works. How many times do you have to mark someone as spam for them to get a warning? I agree with that you are saying, but I think we need a solution for this. And I am sure if we put out great minds togheter we will come up with something great. Probably for the same reason Upworks recommends and allows clients to invite people who are completely unqualified to do the job: they really haven't got a clue about what they're doing, let alone what you're doing. Here's another suggestion to Upwork, made knowing it'll fall on deaf ears. You know how you guys like to hide applicants based on some secret criteria? 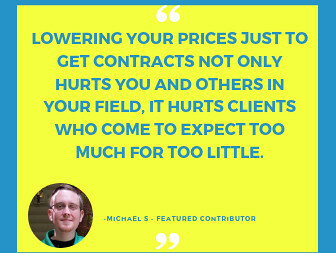 How about allowing clients to hide them based on their own criteria? That'll kill two birds with one stone. Even if you start by only doing manual selection, it will clean up the list of applicants so that a qualified freelancer will see that they only have a few legitimate competitors for a job rather than the dozens or hundreds that spammers shove down a client's throat. Good answer, but as the client paying the money I really don't want to spend time evaluating 50-100 applications. That's me working for Upwork and that's not fair. When I ask for an expert I don't want to have to sort through dozens of people charging $3 who are in no way qualified for my position. I ask for an expert for a reason. If you are going to give me all the choices then please stop these people from applying. Ok, here's another enhancement for Upwork to consider. Clients sometimes have a code word or phrase they want included in the application, to make sure the applicant actually read the job description, like mention banana in your cover letter, for example. This could be automated--provide a 'code phrase' option when creating a job, then automatically discard any application that doesn't contain the 'code phrase'. It can't be too hard to implement and may actually work. I dont believe this would work, since if coded words/phrases where standard, then it would be easy for the spammers to change their tools to just change their spam-tools to copy/paste the coded word too. re: "As I stated before I do still think it is a good idea to be able to mark a application as copy/past and have some sort of ratio/score." There is no ratio ranking how good a contractor's job applications typically are. But I have seen Upwork's client side interface which DOES HAVE attempts to identify job applications as "copy and paste." There is an automated system in place which will flag a contractor's application as being a copy-and-paste application. I doubt it is always accurate, but there is an attempt being made to do some of what Johan suggests. Fair or not, that is the current limit to how Upwork's technology "works". In the real world, if you posted a job ad in a newspaper with global circulation, you would indeed have to filter through all the different responses yourself, regardless of how unsuitable the applicants might be. 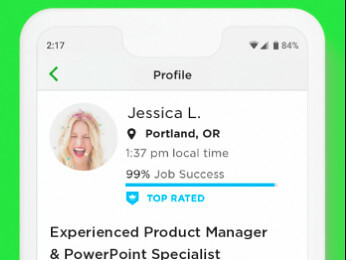 Upwork pretends it can do more, but we all know it doesn't live up to those promises. So the question is how do we get from where we are to where you want to be. I think extending application hiding is a reasonable starting place. I stopped at manual selection only because I know that even that is likely biting off more than Upwork can chew. Don't let perfect be the enemy of good. You're far more likely to get traction if you rally around one specific change and wait until that is done before moving on to the next step. And given Upwork can't even be bothered to fix known bugs like the notification flag, none of us should be holding our breath for even the first step.